Though this summer was more tame than its heatwave-worthy predecessors, a notable shift from flouncy dresses to loads of layers is underway. And if last year's Polar Vortex is any indication of the season to come, we are in for a long, frigid winter. How will any style savant stay warm and au courant this season? Luckily, fall's biggest trends are (somewhat) blizzard friendly. Welcome to the Fall 2014 trend guide. As always, each week highlights a major trend for Fall/Winter 2014 and how you can get the look. So let's get started, shall we? Admit it: the biggest trends are not always practical for the every day. However, some of the industry's hottest designers have given us just what we instinctively want for winter: a warm and cozy coat. Luckily, the basic necessity get a little dramatic this season with loads of shearling. While some brands such as Altuzarra took a minimalist approach to this trend, the majority was in favor of maximalism. 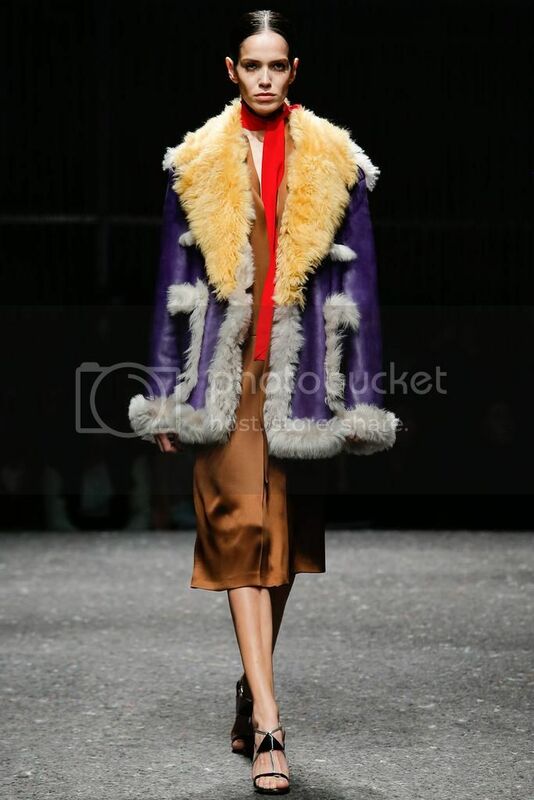 Miuccia Prada's sheeny fabrics and vivid color palettes act as the poster child for this phenomenon- the perfect blend between a wearable coat and a high-octane piece. If you're truly looking to make a sartorial splash, Akris's Creative Director Albert Kriemler brought this trend to the next level with an unapologetically textured coat. Looking for lots of shearling with a subdued color palette? Sacai's thick, textured lapel completely fits the bill. And calling all cool girls: Coach's collection of cropped, shearling-clad jackets are sure to be your staple this season. Streamlined, ostentatious, or something in between, there's at least one to swoon over. 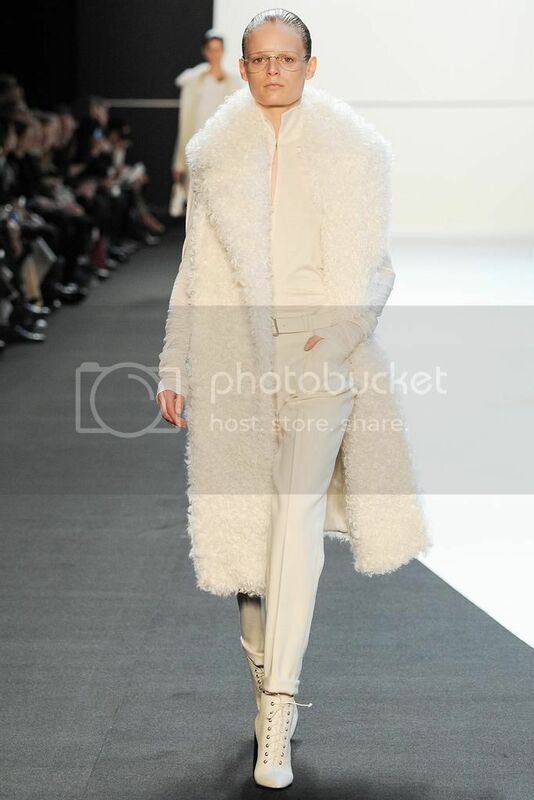 The million dollar question: how do you rock this trend without looking like a glorified yetti? While adding a shearling bag to any ensemble may the easiest way to embrace this phenomenon, it would be a major mistake not to experiment with one of the market's crazy coats. From a subtle collar to courageous fuzz, there are so many options on the market that you are bond to fall in love with at least one piece. But just because you're amplifying your look's texture doesn't mean you can't also play with volume. A wide leg trouser with a frills-filled coat or pleated skirt with a lined bomber are great choices. However, if you have a penchant for accessories, there are some amazing bags and shoes to choose from as well. Instead of bringing your outdoorsy spirit to the sartorial limelight, opt for textured,minimalist pieces--a crisp tote or streamlined booties are ideal. 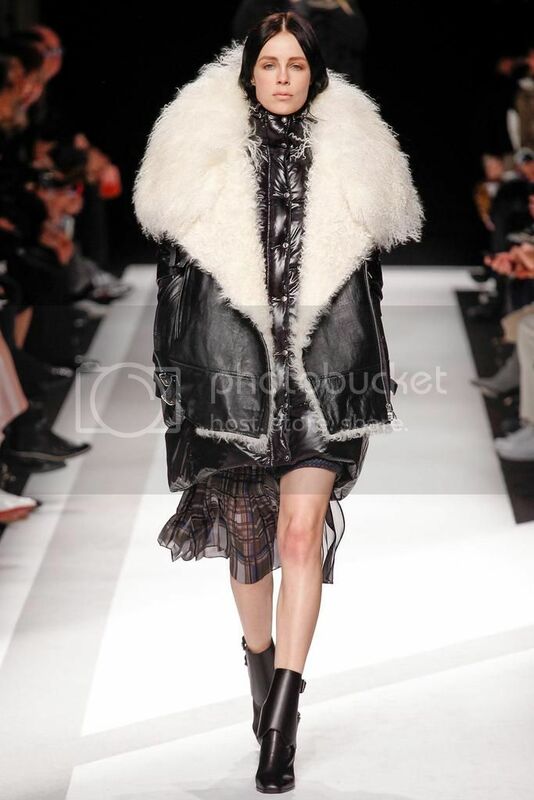 Are you ready to rock some shearling this winter? Sound off below!